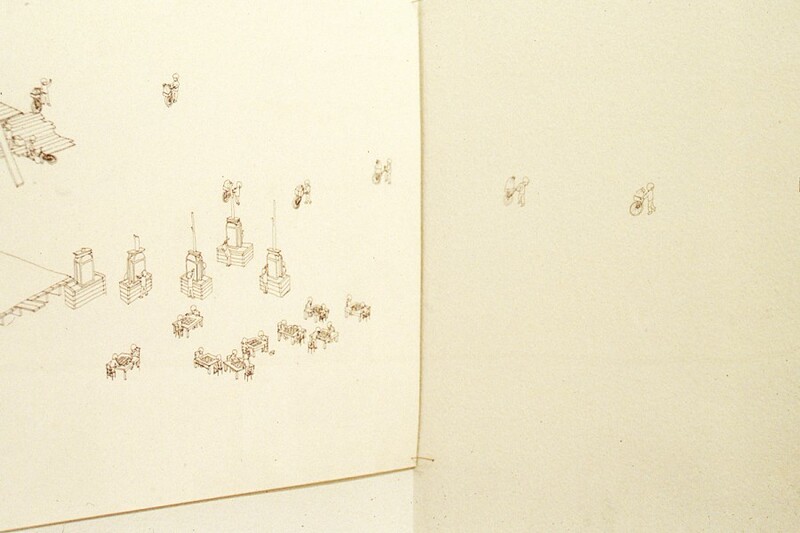 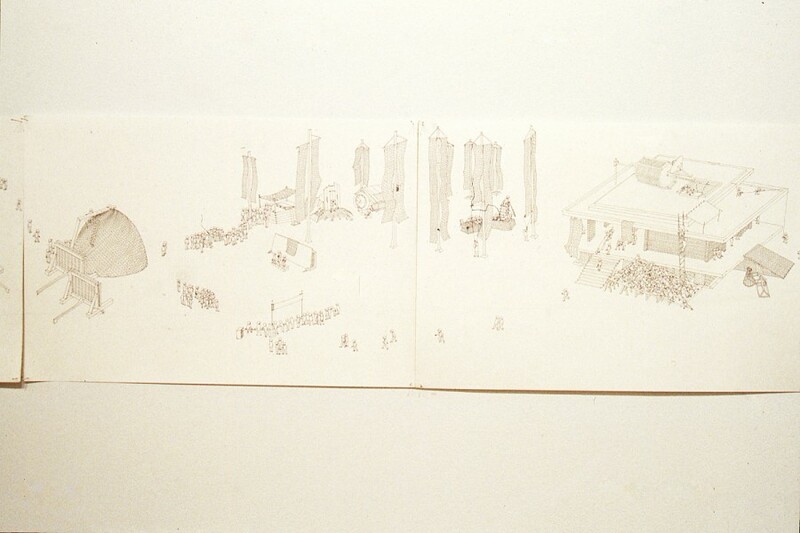 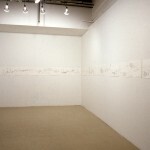 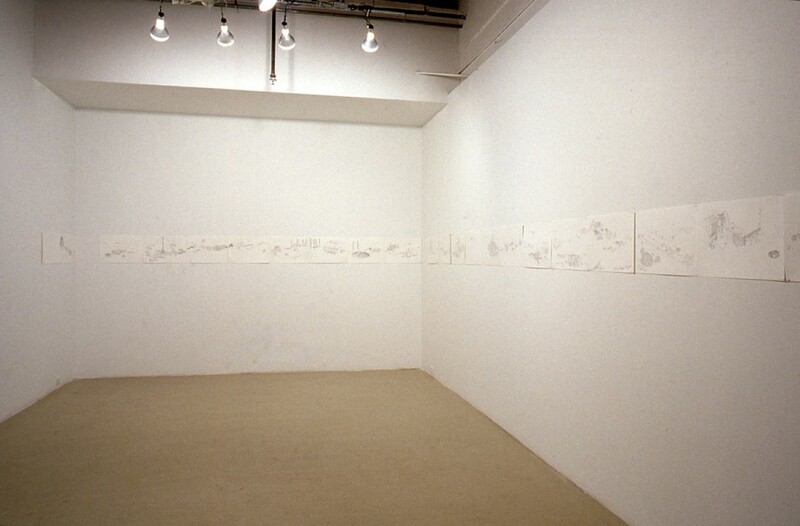 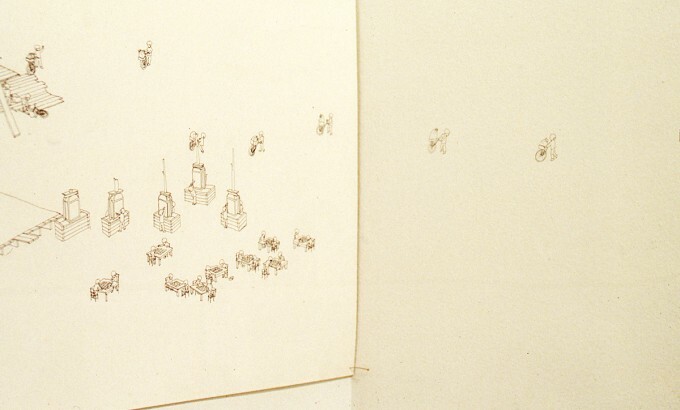 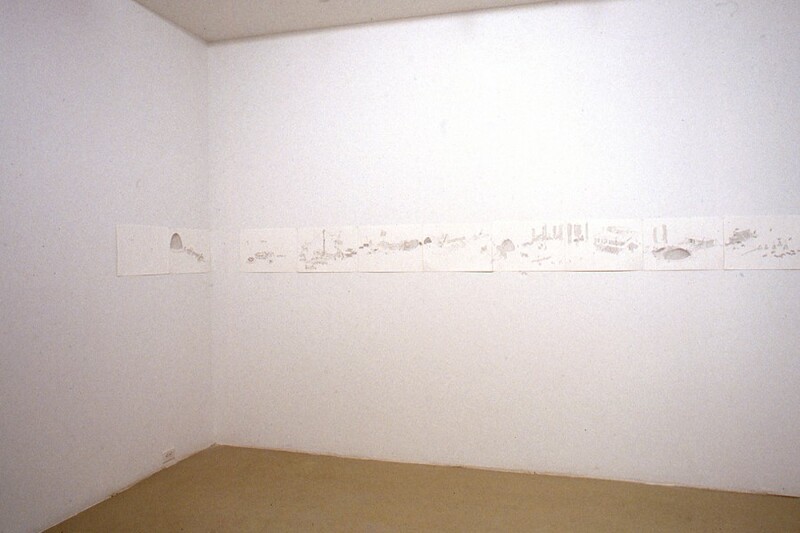 2005 of the Top 3000, a continuous drawing, measuring approximately one inch in height and spanning over forty sheets of paper, depicts a hectic yet somewhat calm and composed narrative. 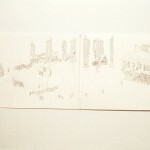 Hundreds of ubiquitous bodies are engaged in what seems to be an endless act of making. 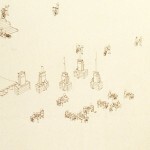 Everyone is building something, erecting a wall, pushing, pulling or compiling building materials, gathering, planning and discussing what to make next. 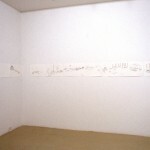 This place, this city or is it a village, is continuously about to be made, always under construction and as such imbued with potential.